Dinghy Sailing: Start to Finish is a complete reference for every level of sailor whether you are a beginner and need a straightforward, easy-to-understand guide or are taking your sailing to the next level and looking for the professional tips and tricks that will get you sailing faster, better, safer and having more fun. It includes single-handed dinghies through to planing speed craft. 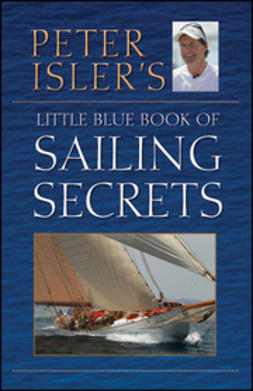 Full colour with 150 fantastic, clear illustrations and 150 photographs, Dinghy Sailing: Start to Finish gives the reader a thorough, complete and visual guide to life on the water. * Preparing to sail - Safety afloat, practical clothing, rigging to launching. * Rules of the road - Avoiding other boats, Rights of way, Basic racing rules. * Weather forecasting - How to spot tell-tale signs of change in wind and weather.